GRAND FORKS — It took a jury only about a half-hour Friday to decide Grand Forks County was not liable for any misdeeds by the county’s former public administrator Barb Zavala in her oversight of assets of Paul Veum, a ward of the county. The four men and two women on the jury heard two days of testimony and a full morning of closing arguments by attorneys Friday. The verdict, read out in court by state District Judge Richard Geiger, found Zavala did “breach a fiduciary duty owed to Paul Veum” but that the breach didn’t cause any damages to Veum. Zavala was not on trial in this civil case, but the county, as her employer, may have been on the hook for any damages. A year ago Veum sued the county over what he claimed was mishandling by Zavala and her assistant, Cathi Westensee-Fisk, who acted as public administrators over Veum’s property and bank accounts for 90 days in 2011. That issue, and the larger one of whether Zavala “was acting within the scope of her employment” with the county, were not decided since the jury first found she caused no damages. Veum, 77, lives in a nursing home in Lakota. He testified, despite showing the effects of Parkinson’s and dementia that were at issue in the trial. Under cross-examination by Howard Swanson, the county’s attorney, Veum said he couldn’t say for sure what Zavala took, if anything. Swanson admitted, during his closing statement, that Zavala failed to properly inventory and report on Veum’s property and bank account and what she did with it. But her failures “didn’t cause any of his property to go away,” and there was no evidence Zavala stole or mishandled any of it, Swanson said. Lamb said he was disappointed but respected the jury’s decision. Zavala was ordered to take the stand this week, but she declined to answer questions from Lamb, citing her Fifth Amendment rights to not incriminate herself. State and federal prosecutors have been working on possible criminal charges against Zavala since late 2011. The Veum case highlighted the unusual nature of the traditional office of public administrator in North Dakota counties. Grand Forks, after Zavala, was one of the last to contract out the services to a professional firm experienced in taking over the financial affairs of vulnerable adults. Swanson’s argued that although Zavala was a county employee during her time as public administrator from 2008 until early 2012, the nature of the office under state law meant only a judge, not the county, had any supervisory control over her. The Veum verdict may affect a similar lawsuit Lamb has brought against the county over Zavala’s handling of the property of Faith Krueger, an elderly Grand Forks woman. t’s set to go to trial Sept. 10, also before Judge Geiger, and also with Swanson representing the county. Grand Forks County has been hit with a civil lawsuit that claims the financial exploitation of elderly citizens. Attorney, Tim Lamb says his clients lost hundreds of thousands of dollars, while Public Administrator, Barbara Zavala was working as their legal guardians. Zavala resigned her job in January. Lamb says both victims were medically incapacitated at the time the incidents happened. One of those clients is 85-years old Faith Krueger, who claims she’s lost over 300-thousand dollars. Rodney Folkers is now the legal guardian for the second victim, Paul Veum, who lost 50-thousand dollars. Lamb emphasizes that this is a civil lawsuit. However, he says a criminal investigation is underway. Lambs call it a horrendous act… and says he believes there may be more victims. No criminal charges have been filed in this case. The North Dakota Bureau of Criminal Investigation will not confirm any involvement in an active case. Howard Swanson, the attorney representing Grand Forks County is on vacation and could not be reached for comment. Attorney Tim Lamb says he’s expecting a response from the County to his lawsuit sometime next week. BISMARCK, N.D. – The Burleigh County Commission earlier this month approved pooling with the North Dakota Association of Counties to help fund a short-term program for public guardians of incapacitated adults. In the joint powers agreement, commissioners agreed on Aug. 5 to set up a two-year funding source by collecting a special one-tenth of one mill in property taxes. The fund is intended to help pay for supervision of adults with limitations who live below the poverty level and who have no family supervision. Through House Bill 1041, the 2013 Legislature approved giving $828,600 to the state Office of Management and Budget to start taking over the costs of guardianships from counties. The bill’s intent is that the state will take over the entire costs of the program in two years, but that will require final Legislative action in 2015. In the meantime, counties are being asked to pay half the cost for all public guardians assigned before July 1, 2013 through the partial mill levy. The state has asked that the North Dakota Association of Counties collect the counties’ half. 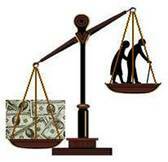 The balance will be paid for by a state grant through 2015. Each of the 53 counties in the state is being asked to each contribute the one-tenth of a county mill for two years to help pay for the guardians. Burleigh County’s partial mill levy will generate about $31,500 for the program. The county is now paying a contracted private company -Guardian and Protective Services Inc. – $27,000 to supervise incapacitated adults and partially waives rental space at the county-owned Provident Building for the company’s offices. A guardian for an incapacitated adult handles their financial dealings, has power of attorney, ensures they are taking care of themselves and does other needed paperwork for the individual, said Terry Traynor of the North Dakota Association of Counties. Traynor said the said the county association was asked by the state to organize an insurance-type program to help fund the guardianship fund. He said the new state law now also requires that all guardians of adults receive formal training, that professionals, social workers, doctors and attorneys report suspected abuse or exploitation of incapacitated adults, and creates more funding for guardians of adults. Ohio Attorney General Mike DeWine and Hamilton County Prosecutor Joseph Deters announced today the indictment of a former attorney who allegedly stole more than $400,000 from an 83-year-old woman from Morrow. William G. Goetz of Cincinnati, was indicted Tuesday by a Hamilton County grand jury on two counts of Theft from the Elderly, two counts of Money Laundering, and one count of Tampering with Records. If convicted, Goetz faces a maximum of 31 years in prison. According to investigators, Goetz prepared legal documents and participated in a complex real estate transaction for the homeowner. He allegedly took more than $400,000 from the homeowner that was intended for future tax payments stemming from the land deal. Goetz is accused of depositing the funds into his business accounts for his own personal use. 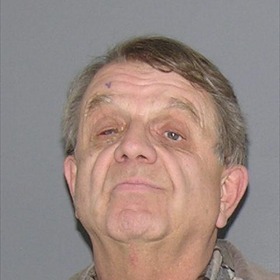 As part of the deception, Goetz also allegedly created a fake letter from the Ohio Attorney General’s office to further his crimes. Goetz was disbarred by the North Dakota Supreme Court in 1991 for fraudulent dealings with his clients. He is not and has never been an attorney admitted to the practice of law in Ohio. The Ohio Supreme Court sanctioned Goetz for unauthorized practice of law and fined him $30,000 in 2005. A warrant has been issued for Goetz’s arrest. Having a court-appointed guardian take charge of a person’s life means fewer legal protections and potentially graver consequences than being sent to prison, said a medical school professor who is studying North Dakota’s guardianship system. The consultant, Winsor Schmidt, told the North Dakota Legislature’s Human Services Committee on Tuesday that North Dakotans in guardianship proceedings should have the right to a lawyer and a jury trial on whether the guardianship is necessary. State law now gives them neither. In a guardianship case, a judge decides whether the person is capable of making decisions about his or her life. If they are not, a judge appoints someone to make those decisions for them. “You lose all of your rights. You become a non-citizen,” Schmidt said in an interview. The committee hired Schmidt, a professor at the University of Louisville’s medical school, to study North Dakota’s guardianship system, and he presented his preliminary report on Tuesday. His recommendations included providing an attorney at public expense if someone can’t afford to hire a lawyer for guardianship proceedings. 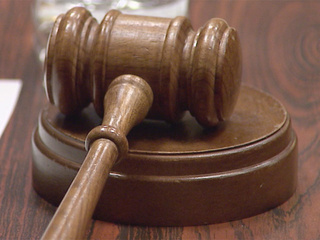 A Grand Forks man was sentenced for receiving over $1.2 million in retirement checks for his deceased father. Silas Lee McHenry, Jr., 67, pleaded guilty last October on a charge of embezzlement of government property. Mchenry, Jr. received his deceased father`s retirement checks from the Office of Personnel Management (OPM) from April 1983 through November 2009. McHenry, Jr., was appointed as his father`s guardian to manage his affairs after McHenry Sr. was disabled. After McHenry Sr. died in March of 1983, McHenry Jr. didn`t notify OPM of his father`s death and continued to receive his father`s monthly retirement checks. McHenry, Jr., was sentenced to 44 months in prison to be followed by three years of supervised release. He was also ordered to pay restitution in the amount of $1,246,362.22, and to pay a $100 special assessment to the Crime Victim`s Fund. The interim committee meetings of the North Dakota Legislature have started to meet and work on the studies assigned to each committee, and the first Human Services Interim Committee was held last week. The studies assigned to the Human Services Committee are as follows: of the Autism Spectrum Disorder, Guardianship Services, Department of Human Services caseloads and Program Utilization, and the States Qualified Service Provider System. The Study of the Guardianship Services will involve contracting with a consultant to study guardianship services for vulnerable adults. This is a problem for many older citizens that can no longer handle their own affairs. The courts can delegate someone to handle the affairs for them. There are many problems in that the states do not have uniform laws, and it is difficult to find or appoint a guardian unless the individual can afford to pay for the services. Often, family members are not willing to undertake such a task, and sometimes there is dishonesty involved. The plan includes obtaining information from private and public sources, and receiving the report from the consultant. Again recommendations and possible legislation might result. 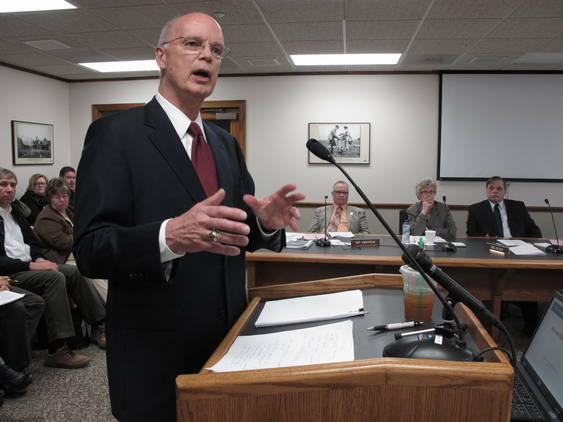 > North Dakota Chief Justice Gerald VandeWalle appealed for state lawmakers to look into ways to help older residents avoid being abused or financially exploited. 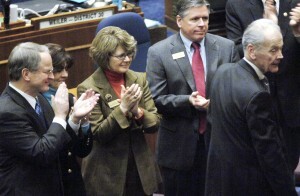 “I am convinced that this is an area that North Dakota can no longer wait to confront,” VandeWalle said in a speech to a joint session of the North Dakota House and Senate. By tradition, North Dakota’s chief justice briefs the Legislature on judicial issues when lawmakers meet every two years. Two years ago, VandeWalle appealed for the Legislature to order a study of public administrator and guardianship services for the elderly. The request was passed over. Public administrators, normally employed by counties, oversee the affairs of people who cannot care for themselves and do not have a friend or family member willing to help them. The North Dakota Data Center at North Dakota State University has estimated that within 20 years, about one-third of the residents of 39 of North Dakota’s 53 counties will be at least 65 years old. 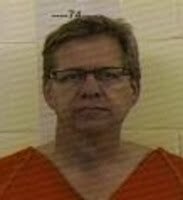 A judge has ruled there is enough evidence to go to trial with prosecutors’ charges that former Grand Forks and Grafton, N.D., stockbroker Ross Haugen ripped off elderly investors in Walsh County. North Dakota District Judge Laurie Fontaine’s order finding probable cause in two cases against Haugen argued before her last month was filed in state district court in Grafton. Haugen is charged with seven counts of selling unregistered securities, seven counts of acting as an unregistered broker/dealer and/or agent, eight counts of fraudulent practices and six counts of theft of property involving elderly investors in Walsh County sales in 2006 and 2007. He’s also charged in a separate case with three counts of conspiracy to commit theft of property, or an alternative charge of fraudulent practices, in which two other men also are charged. All but one of the counts against Haugen are Class B felonies, each with maximum penalties of 10 years in prison and a $10,000 fine. A 36-year-old Wahpeton, N.D., woman will serve at least three months in jail after stealing $260,000 from an elderly man she befriended, a prosecutor said. After pleading guilty in May to charges of exploiting a vulnerable adult, Rhonda Thiel was given a 10-year term with all but one year suspended in a sentencing hearing in Richland County District Court, said Ronald McBeth, Richland County State’s Attorney. McBeth said Thiel must serve at least 90 days in jail, but she can do the rest of the one-year term while on house arrest. She was also ordered to make restitution payments to the man’s estate – a lump sum of $10,000 by Sept. 30, $600 a month for 10 years, and mortgage payments on the man’s house. Thiel will be on supervised probation for 10 years and could have her probation revoked if she doesn’t make the payments, McBeth said.